Tim Connolly and Jim O’Gorman, two former Hulu executives, have found a new home at Jeffrey Katzenberg’s billion-dollar video upstart Quibi. Connolly, who previously served as the senior vice president of partnership and distribution at Hulu, joins Quibi as its head of partnerships and advertising. In the new role, the former VP will manage business relationships with all the company’s partners, including its subscriber acquisition, advertiser, technology and promotional partners. Connolly had left Hulu this summer as part of a reorganization at the company. Formerly the senior vice president of talent and organizations at Hulu, O’Gorman will carry the same role at Quibi. During his time at Hulu, O’Gorman led all aspects of talent management, recruitment, organizational development, internal communications, human resource operations and facilities. The news follows the hiring of Diane Nelson, former president of DC Entertainment, as the head of operations for content for Quibi. The three join former The Hollywood Reporter co-president Janice Min, who was hired back in September as a content executive. Founded by Katzenberg and headed by former Hewlett-Packard CEO Meg Whitman, Quibi closed a $1-billion round of funding in August from big-name investors such as 21st Century Fox, Disney, NBCUniversal, Viacom and WarnerMedia. The service will have a two-tier pricing model: an $8-per-month option that doesn’t include advertising and a $5-per-month tier that has limited ads. Katzenberg is expected to launch the service in either late 2019 or early 2020. Connolly and O’Gorman declined TheWrap’s request for comment. 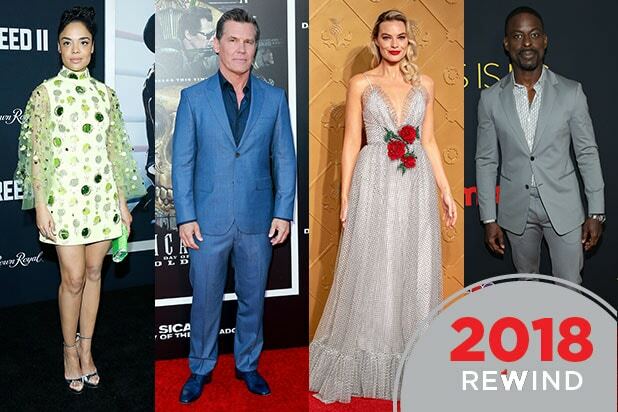 TheWrap takes a look at the film actors who had four or more credits to their name this year. Wilson is now just making the rounds as King Orm in James Wan’s “Aquaman,” but the actor also starred in “Insidious: The Last Key,” “The Commuter,” “The Nun,” “Nightmare Cinema” and he is currently filming an untitled “Annabelle” sequel. While filming Quentin Tarantino’s “Once Upon a Time in Hollywood,” the actress was seen in movies like “Peter Rabbit,” “Terminal,” “Slaughterhouse Rulez” and “Mary Queen of Scots” this year. 2019 looks crazy for the actress as well, who has “Birds of Prey” and the untitled Roger Ailes film coming up in addition to Tarantino’s. Shannon is always busy, and this year was no exception. He can add “12 Strong,” “What They Had,” “State Like Sleep,” “Waco,” “Fahrenheit 451,” “Room 104,” “Our Cartoon President” and “The Little Drummer Girl” to his credits, as well as several shorts.